Osmotic and nonosmotic regulation of antidiuretic hormone (ADH) secretion. ADH is secreted in response to changes in osmolality and in circulating arterial volume. 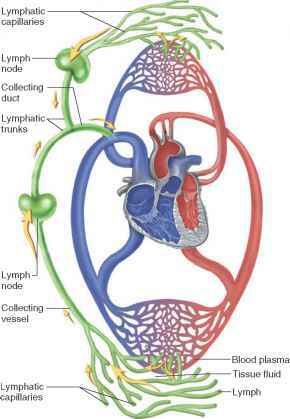 The "osmoreceptor" cells are located in the anterior hypothalamus close to the supraoptic nuclei. Aquaporin-4 (AQP-4), a candidate osmoreceptor, is a member of the water channel family that was recently cloned and characterized and is found in abundance in these neurons. The osmoreceptors are sensitive to changes in plasma osmolality of as little as 1%. In humans, the osmotic threshold for ADH release is 280 to 290 mOsm/kg. This system is so efficient that the plasma osmolality usually does not vary by more than 1% to 2% despite wide fluctuations in water intake . There are several other nonosmotic stimuli for ADH secretion. In conditions of decreased arterial circulating volume (eg, heart failure, cirrhosis, vomiting), decrease in inhibitory parasympathetic afferents in the carotid sinus baroreceptors affects ADH secretion. Other nonosmotic stimuli include nausea, which can lead to a 500-fold rise in circulating ADH levels, postoperative pain, and pregnancy. Much higher ADH levels can be achieved with hypovolemia than with hyperosmolarity, although a large fall in blood volume is required before this response is initiated. In the maintenance of tonicity the interplay of these homeostatic mechanisms also involves the thirst mechanism, that under normal conditions, causes either intake or exclusion of water in an effort to restore serum osmolality to normal.